The seven-member Commission of Inquiry into the post-elections violence that claimed six lives and left property worth of millions dollars destroyed in Harare, has slammed its critics and defended the conclusion of the probe two weeks ahead of the deadline. 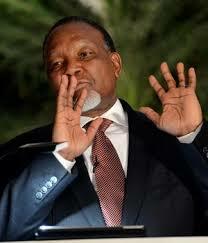 The Commission, chaired by former South African president Mr Kgalema Motlanthe, submitted an executive summary of the report to President Emmerson Mnangagwa last week on Thursday. It was appointed on August 29 and given three months to produce the final report. The Commission had had three months to make its findings and submit its report to the appointing authority, President Mnangagwa. However, the prompt manner in which the commission dealt with inquiry drew brickbats from the opposition MDC-Alliance functionaries, including anti-government civil society organisations. The commission spokesperson Mr John Masuku scoffed at claims in the private media that the Motlanthe Commission rushed to conclude the probe without affording the majority of the victims of August 1 shooting a chance to tell their stories during the public hearings. Mr Masuku said the conclusion of the public hearings two weeks ahead of the given time line would not change the substance of the report. “If the Commission felt it had gathered sufficient evidence and testimonies to come up with a report on time, that is it,” said Mr Masuku. Mr Masuku said the Commission did not gather oral evidence only, but also included a lot of documentary evidence among other forms for consideration in the compilation of the much-awaited report. “They have done their job and came up with a report whose executive summary has been given to the appointing authority,” he said. Instead of criticising the commission, Mr Masuku said people should wait for the outcome of the inquiry. Mr Masuku attributed the finishing of the report ahead of scheduled time to the fact that the Commission was working full time and spent most of their time on the inquiry. “We take the executive summary as progress to the appointing authority,” he said. The public hearings began in Harare on October 16, with top security officials, including Zimbabwe Defence Forces Commander Valerio Sibanda, the Presidential Guard and National Reaction Force Tactical Commander Brigadier-General Anselem Nhamo Sanyatwe, Police Commissioner-General Godwin Matanga and Officer Commanding Harare province Chief Superintendent Albert Ncube, testifying. MDC-Alliance leader Mr Nelson Chamisa, his party’s deputy national chairperson Mr Tendai Biti and former Home Affairs Minister and Zanu-PF secretary for administration Dr Obert Mpofu also gave their testimonies. MDC-T spokesperson Ms Linda Masarira also gave evidence in which she accused the MDC-Alliance of being prone to violence and training its members to cause havoc after the elections.